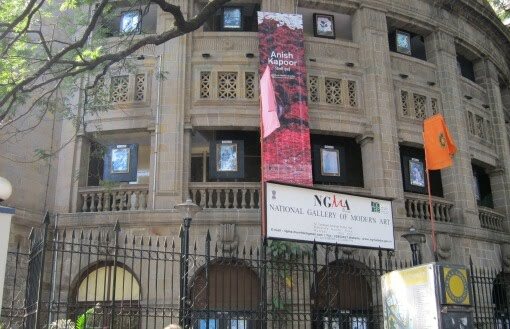 My article in Mumbai Boss about the state of the National Gallery of Modern Art as part of a wider Bombay versus Delhi debate can be read here. imperial capital - much like rome getting grain from all over its empire. you are right. Its getting to feel a lot like imperialism. I remember walking just like taht into NGMA around 4 -5 years ago just on a lark and loving it. now i know why i just never felt like walking there any more in recent memory. hmmm. We speak a lot about Shanghai, but Shanghai is what it is because Beijing lets it be that. If Beijing gets the Olympics, Shanghai gets the Expo. Obviously the authorities there see the need for economic and cultural balance. Here the attitude is: Anish Kapoor's a great artist, we can't let him show only in Bombay, let's lure him to Delhi. Girish, I feel pretty guilty when I read this post. Had the art community got behind your pamphlet we might well have pushed through the changes called for. Instead, 3 years later most of us involved with fine art continue to work with the existing hierarchy hoping, vainly, that something positive may come of a cooperative spirit. I realise now that nothing is going to change, promises of shows will continue to be broken. Do you think a forum such as the India Art Summit is a legitimate space to organise a serious groundswell of opinion against the present NGMA bods? Torntash, I feel guilty that Tyeb Mehta didn't see a retrospective of his work before he died. It was one of those promised shows you speak of, Rajeev Lochan publicly said it was imminent, but it never happened, and nobody knows why. The problem is also structural; the NGMA director is a mid-level officer in a bureaucrat hierarchy, and we know what that entails. We can speak about these issues at the Art Summit, in fact the problem was discussed recently at a JNU seminar, but I don't sense artists feel deeply about the issue, and they're the only people in the art community who could really make a difference.